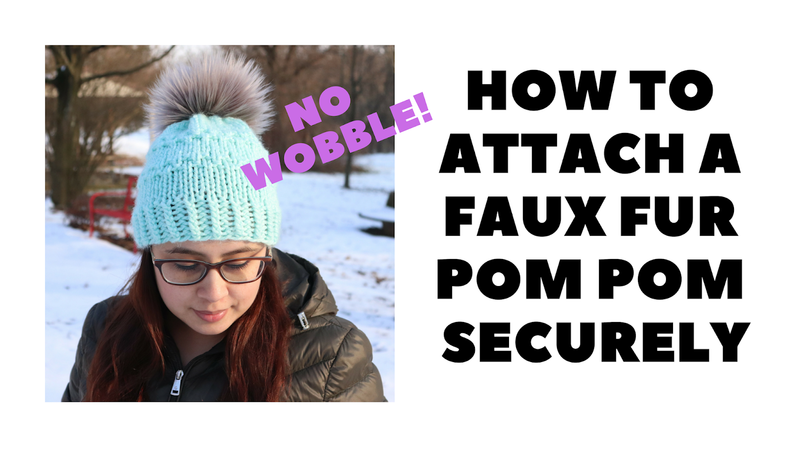 Learn how to attach a faux fur pom pom to your crochet and knit hats securely! In this video tutorial, I will show you how I attach my pom poms to my hats to avoid any wobbling and to make sure they are very secure. 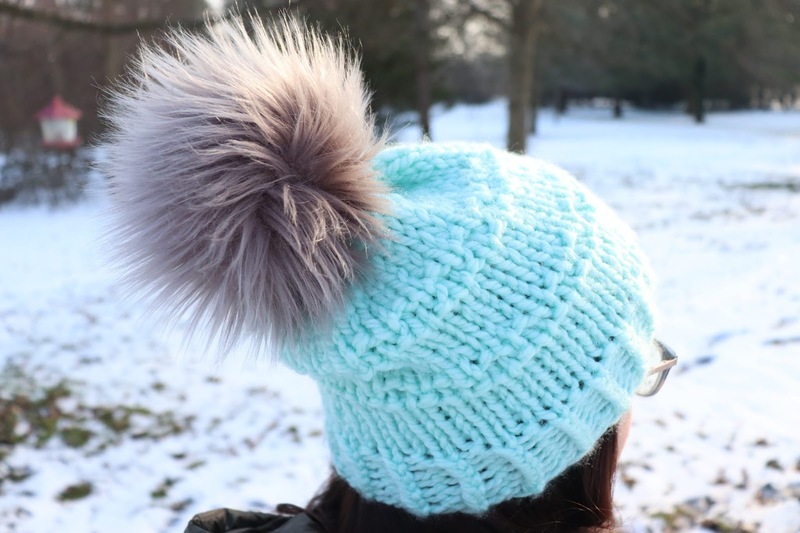 Do you love to use faux fur pom poms to finish off your crochet and knit hats?! I do! I’ve been using poms for quite some time now and at first when I bought them and used them, I was often disappointed because they would just bobble around on the top of my hats! Was I putting them on incorrectly? Or was I just buying poor quality pom poms? I have boughten from several hand made faux fur pom pom makers and while there is a difference between quality made pom poms and.. not quality made, I find that most pom poms will always produce a bit of wobble on the top of your hat unless you secure those suckers down correctly. With some pom poms, I had no trouble adding them on to the hat how a lot of YouTube tutorials taught me. Pull the strings through the top, tighten them with a knot, and weave in your ends. Ta-da! That was easy. For some of the pom poms, they sat pretty well on my hat but could use a bit of securing. But wait, why is this one wobbling and bobbling around like it’s not even attached? The explanation? When you attach pom poms to your hat this way, the pom pom is basically sitting on your hat at one (very small) area on your hat. This will make the pom pom wobble all over especially if it’s a larger pom pom. Solution? Create a wider base for the pom pom to sit on the hat. After the pom pom is secured (somewhat) onto your hat with the steps I talked about above, you will need to further sew on the pom pom. You will want to grab a needle and go up through the hat and the pom pom and back down to create a bigger base for it to sit on and to make it more stable. This video shows you step by step how I secure all of my pom poms onto my crochet and knitted hats. 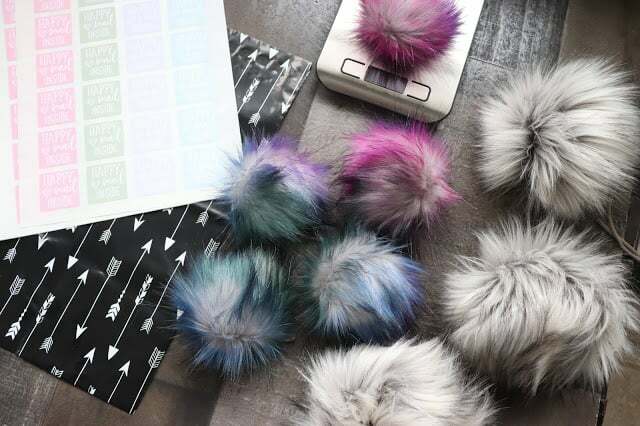 I hope this helps you attach your fur poms onto your hats and that you get the outcome you are looking for! *If you cannot view/see the video above, you may need to disable your ad-blocker in order to watch it. 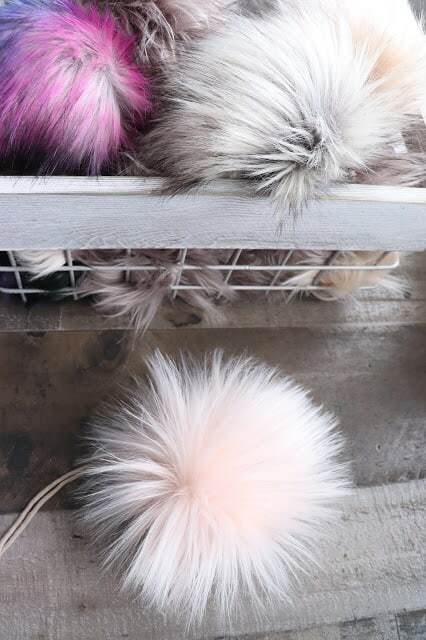 If you’re interested in purchasing faux fur pom poms, I have several colors on my Etsy shop to choose from! Shop here.